At the end of every episode of my daily tech podcast, I always say that technology works best when it brings people together. But a company called Silatech is using technology to combat unemployment, extremism and the marginalization of women and youth. Silatech is an international, social development non-profit, non-government organization with programs and operations in 17 countries across the Middle East and North Africa. The organization has a reputation for promoting large-scale job creation, entrepreneurship, access to capital and markets. There is an increasing realization that by funding African and Middle Eastern startups, they are also building the foundations of an economy that will provide the youth of today with careers for tomorrow. The creation of Startup communities that are run by young people is not just about creating offering younger people an income source and a livelihood. If you zoom out to look at the bigger picture, startup culture also creates more jobs for their peers in their community. These are just a few reasons why Silatech is helping young entrepreneurs establish, grow and sustain income-generating enterprises. In 2012, Silatech and Microsoft joined forces to launch Ta3mal.com to help youth and job seekers find support to transition into the world of work. The partnership helped create one million jobs for young people. Available in Arabic, English, and French, the online platform offers online access to career guidance, soft-skills, e-learning as well as jobs and internships opportunities and entrepreneurship training. The initiative relies on local partners to provide specialized content and direct services to youth and job seekers. In addition to a regional version of the portal, there are currently local portals in eight countries, including Egypt, Qatar, Iraq, Tunisia, Morocco, Algeria, Palestine, and Lebanon. In each of these countries, the localized portal is connected to physical career centers that include innovative programs complementing the services available on the portal. 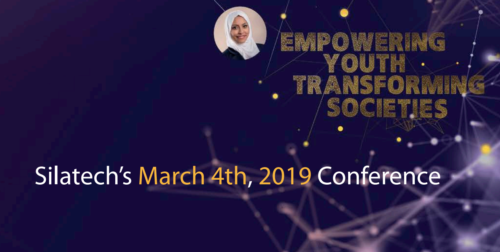 At Silatech’s conference in Geneva on March 4th, the company will celebrate their 10th anniversary, reaching the milestone of securing 1,000,000 jobs and improving the lives of young people across the MENA region. Silatech is expected to share their innovative solutions and preventative programs to tackle the global challenges of unemployment, poverty, extremism and the marginalization of young people and women. Attended by UN influencers, Silatech will leverage the presence of a large number of political and humanitarian influencers as well as technology. Together they will formulate partnerships, mobilize international support and advocacy to eliminate unemployment. Essentially, Silatech’s mission is to empower youth and help them overcome these issues by connecting them with economic opportunities and employment initiatives. Since its inception in 2008, Silatech has implemented innovative programs to combat unemployment. Silatech is also expected to reveal its ambitious youth employment quota for 2022 and will showcase its ongoing quest to empower youth through decent work, boosting economic growth in societies and enhancing security and stability.